Description: [rih-KOH-tuh di BU-fah-lah] This rich fresh cheese is slightly grainy but smoother than cottage cheese. It’s white, moist and has a slightly sweet flavor. It’s made from the whey of buffalo milk drained off while making cheeses such as mozzarella and provoletta. 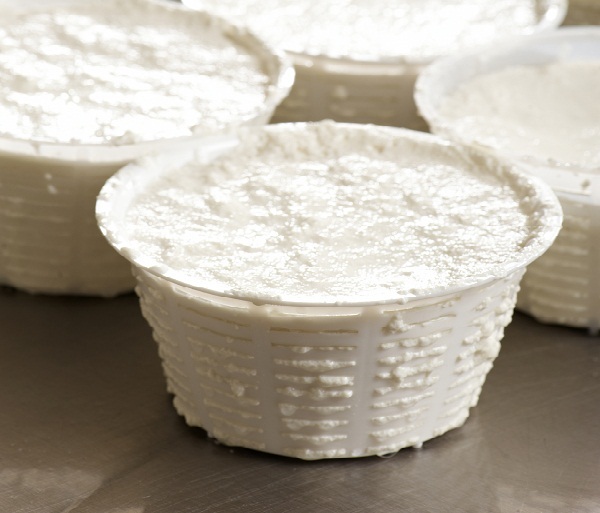 The word ricotta means ‘recooked’, and is derived from the fact that the cheese is made by heating the whey from another cooked cheese. Ricotta is a popular ingredient in many Italian savory preparations like lasagna and stuffed ravioli, as well as desserts like cassata and cheesecake. Check out this delicious recipe for Ricotta Gnocchi!